About three weeks ago I decided to get eyelash extensions again for the second time. My hope was that this around I wouldn't pull them out like a total crackhead weirdo while I lay bed at night waiting to fall asleep. Well, turns out I am a total weirdo and just like the first time I pulled each and every single eyelash extension out (along with my real lashes)...all at once. I don't recommend this, ha! The next morning I woke up and seriously scared myself when I looked in the mirror. I had grossly swollen eyelids and these sparse (I could count all my lashes on two hands) itty bitty short, hardly noticeable blonde hairs that would have looked perfectly on my face if I was an albino. Not a good look, people. So as a follow-up to this beauty tester, I now give eyelash extensions an F...as in I'm never eFFing doing them again. So that morning I frantically searched the web for the best natural remedy for growing back my eyelashes and everywhere I read said that castor oil will rapidly stimulate hair growth. I read dozens of testimonials on Amazon and I just couldn't believe it. People were raving about their results! 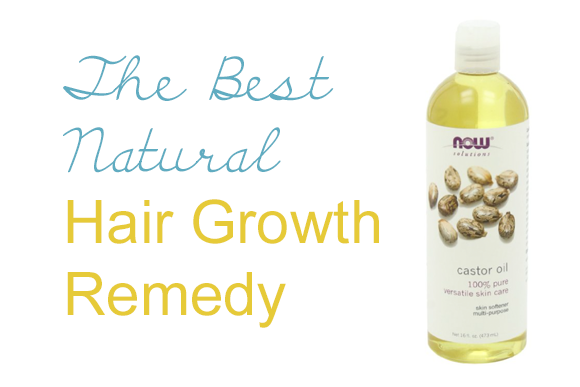 Some people even said that because of the castor oil, they no longer have to use prescription hair growth products. I mean, wow! Since last week I have been applying it directly to my lash line twice a day. It has only been a week but I am slowly but surely starting to notice a little bit of a difference on the areas where I literally did not have one single eyelash. I can now see little tiny eyelash sprouts where just a few days prior I had nothing! SO YEAY! Maybe it's just the natural growth process or perhaps maybe the castor oil is really working and stimulating hair growth! Either way I wanted to pass this little natural tip along, since I am sure I can't be the only weird one out there that likes to pull of their own eyelashes. This also works on eyebrows and any other areas where you have hair loss, so I say give it a try if you need a little extra help in the hair growth department! Don't feel bad! I am a crackhead weirdo with you :) Anything foreign feeling drives me crazy!!!! Ha ha! I use castor oil in my oil cleanse (I think it is your recipe that I use) and notice that the oil cleanse really burns....do you notice the castor oil causing your eyes to water or burn....Granted there are 2 other oils in the oil cleanse so it may not be the castor oil...I would like to try this but would be scared it would eventually transfer to my eye and be uncomfortable. Hi Candice! Well, yeay for being weirdos together haha! And no, the castor oil does not burn at all. Make sure the brand you are using says that it's 100% pure castor oil and if you are still hesitant, you can mix it with coconut or sweet almond oil which are both very soothing. Let me know if you try it! Do you just use a cotton swab and rub it on your lash line? Ever since I had my son I've noticed my eyelashes have been short and sparse. If this really works I'll have to try it! Married life and Mommyhood- I use a q-tip to apply it. And I know all about hair loss after children. That happened to me as well! I say give this a try! Oh my gosh! Good to know. I had always wanted to try them! Darn. Anonymous ^^ - No denying that. This DOES WORK! I have used it on my hair (or lack thereof) after I had my daughter and it worked wonders! So happy you are sharing this with people. Tara- When your hair is damp, use a small amount of the oil and apply it evenly to your scalp and use your fingers to gently massage it in. Leave it on for several hours, or even better overnight for maximum benefit (maybe put your hair in a shower cap so it doesn't get on your pillow) and then wash in the am with your normal shampoo and conditioner. Hope that helps! I've been wanting to try "RevitaBrow" ever since Lena Dunham posted about how it has completely made her eyebrows fill in! I wonder if it works on lashes too! I've been trying the castor oil too! I got so excited when I saw that you posted about it, because I recently started this. Eyebrows, eyelashes, and for a little while, my head (LOL). I got a hair cut, and regretted it and freaked. Now I am loving it (had to get used to it) so no more on my head. However I am using it on my husband's thinning spot. Hoping it works!! (hehe) I think my eyelashes seem thicker. I don't really *need* it, but it can't hurt right?!? I would love thicker eyebrows. Oh! Also wanted to add, both my husband and I use it at night, massage it into our scalps (the circular massage is also supposed to help this whole thing work) and just shampoo in morning as usual. Neither of us have noticed greasy roots or anything, it washes out fine. Don't use too much - not necessary! Awesome! I have had Bariatric surgery and one of the side effects is hair loss. Mine has started falling out like crazy right now. Will give this a try and see how it goes. Thanks for the information!